The New Musical. Composed by Anthony Drewe, George Stiles, Richard M. Sherman, and Robert B. Sherman. Easy Piano Songbook. Broadway, Musicals, Disney. Softcover. 112 pages. Published by Hal Leonard (HL.316152). This collection features 17 easy piano arrangements of songs from the popular London and Broadway musical based on the classic Disney film. 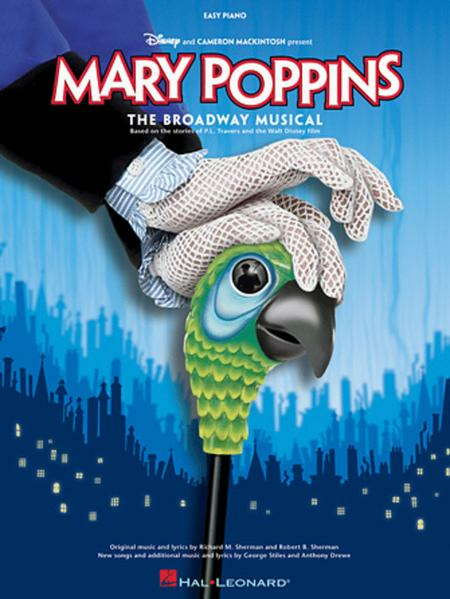 Songs include: Anything Can Happen • Being Mrs. Banks (Parts 1 and 2) • Chim Chim Cher-ee • Feed the Birds • Let's Go Fly a Kite • A Man Has Dreams • Practically Perfect • A Spoonful of Sugar • Step in Time • Supercalifragilisticexpialidocious • Temper, Temper • and more. This book is practically perfect. Some pieces are easy, while others are quite difficult. Some of my favourites are "Feed the Birds"and "Just a Spoonful of Sugar." I recommend you buy this book.